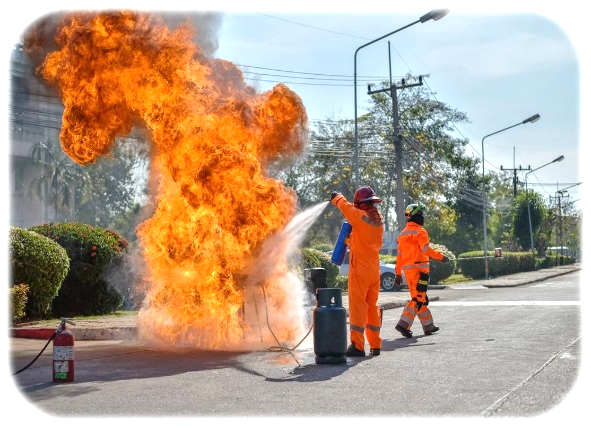 The sources, fate, transport, and remediation of perfluorinated and polyfluorinated alkyl substances (PFAS) are of considerable interest today. This broad group of compounds is proving to be present in groundwater at a wide range of sites, often comingled with other contaminants such as chlorinated solvents and petroleum hydrocarbons. One characteristic uniting these compounds is carbon to fluorine (C-F) bonds, which are among the strongest bonds in organic chemistry. 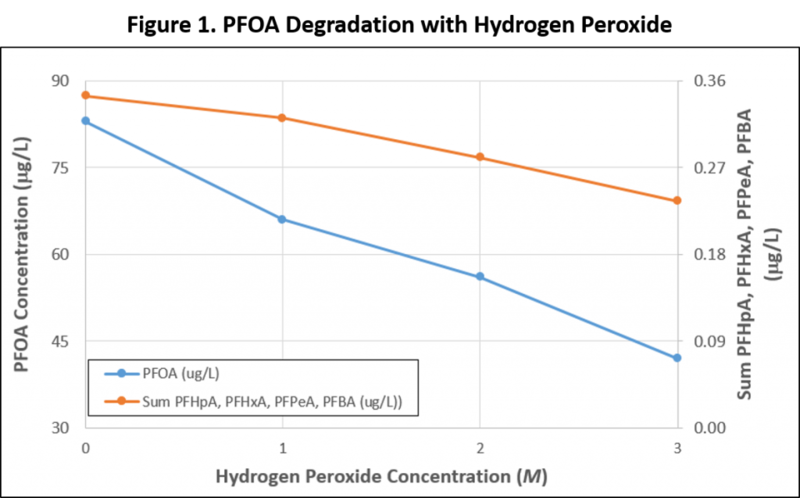 This makes PFAS compounds useful for a wide range of applications, but also makes them very difficult to remediate. The susceptibility of PFAS compounds to in-situ chemical remediation, by either oxidative or reductive approaches, is an area of active research. Some groups of PFAS compounds are readily susceptible to chemical oxidation utilizing methods that generate hydroxyl and/or sulfate radicals. However, oxidative treatment is commonly incomplete and more recalcitrant PFAS compounds, such as perfluorooctanoic acid (PFOA), are reported as reaction products that are not further degraded (e.g., Houtz and Sedlak, 2012; McKenzie et al., 2015; Santos et al., 2016). However, other researchers report degradation of PFAS compounds including PFOA under oxidizing conditions (e.g., Liu et al., 2012; Park et al., 2016), via reactions that sequentially eliminate CF2 groups and produce shorter-chained intermediate and final products. This pattern suggests that nucleophilic attack by reactive species other than hydroxyl or sulfate radicals is responsible. Mitchell et al. (2014) report PFOA is mineralized in catalyzed hydrogen peroxide reactions that primarily produce superoxide radicals and hydroperoxide, rather than hydroxyl or sulfate radicals. Superoxide and hydroperoxide are reactive oxygen species that can be formed in some oxidative treatment systems; they are strong nucleophiles and can attack a wide range of compounds that are not susceptible to oxidative degradation by hydroxyl or sulfate radicals. Geo-Cleanse has developed and patented (U.S. Patent 8,556,537) an in-situ chemical remediation approach that effectively generates superoxide radicals. This method was initially developed to target compounds such as chloromethanes (e.g., carbon tetrachloride) and certain fluorinated compounds (e.g., Freon 113) that are not reactive towards hydroxyl radicals but are readily destroyed by superoxide. We have now completed research to extend application of our method to PFAS compounds. Our method utilizes reaction of hydrogen peroxide with manganese dioxide under neutral to slightly basic conditions to effectively produce superoxide radicals. Laboratory tests confirm that this approach effectively destroys PFOA, without measurable formation of shorter-chained PFAS compounds (Figure 1); indeed, some shorter-chained PFAS compounds (such as PFHpA) that are present at trace concentrations in reagent blanks are also destroyed (Figure 1). Additional research is needed to further optimize our approach and improve PFAS degradation. We have had considerable success with this approach at DNAPL sites impacted with a wide range of comingled compounds, and thus our approach may also be applicable at typical fire training or other sites in which PFAS compounds are comingled with a range of other contaminants, without concern that incomplete degradation will transform PFAS compounds into more mobile or toxic intermediates. For a PDF copy of this article and the references cited, please click here. Please contact Will Moody for questions regarding this article.